Access Genting Casino and become a member today in order to enjoy awesome prizes and offers. 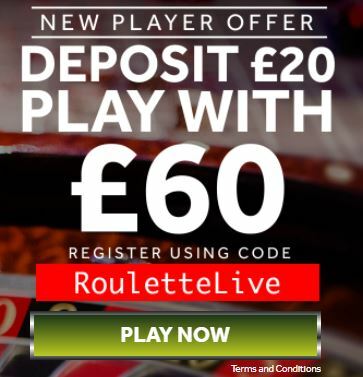 Create an account, deposit at least 20 Pounds with the code RouletteLive, and you can play with £60. Enjoy Live Roulette and get the real gambling experience. Meet the 50x wagering requirements and after that you can cash out. The maximum withdrawal is 1000 Pounds. Only deposits made with Credit or Debit Card are available for this offer. Start your adventure and claim this great bonus now!